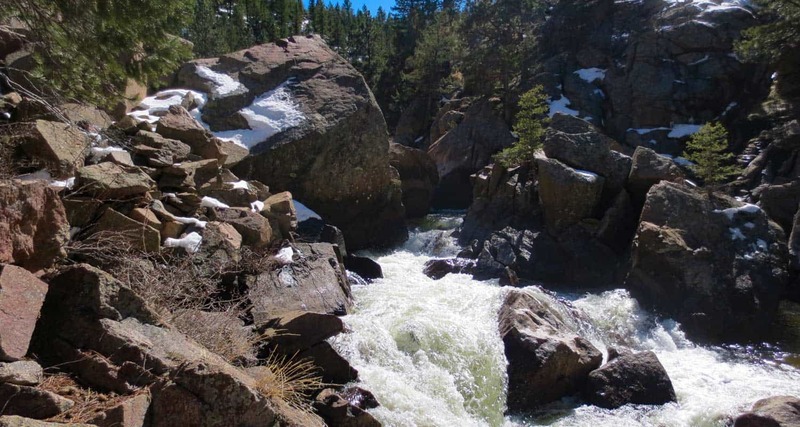 Looking for the best hikes near Boulder, Colorado? Boulder is just just 30 miles northwest of Denver, Colorado. Nestled right up against the foothills, it has many hiking trails that begin right in town. 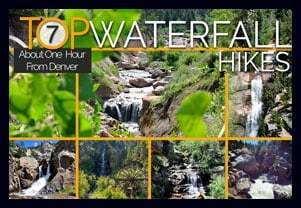 Hiking near Boulder can take you along Boulder Creek, into the beautiful flatirons, or deep into the Indian Peaks Wilderness Area. It’s Colorado hiking at its best! 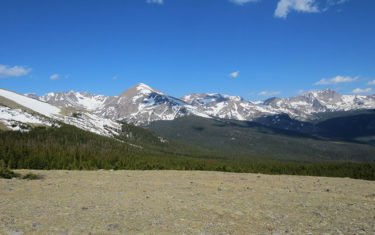 Come back to explore the new Colorado hike profiles we add to our archives. 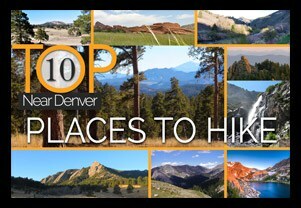 Check out our top 5 hikes near Boulder and even more below. 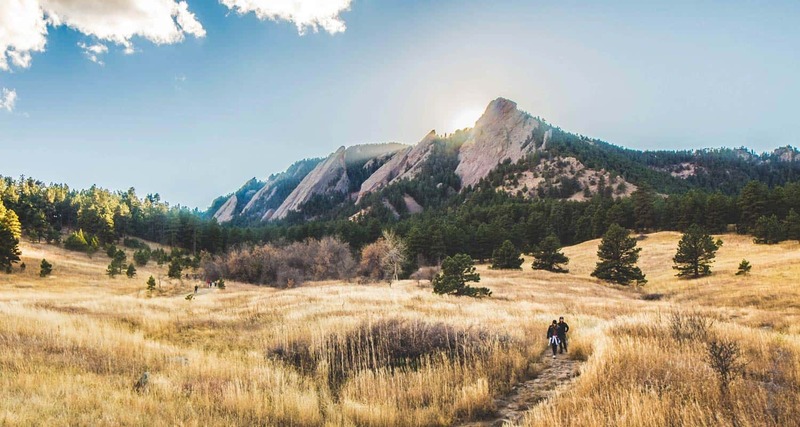 When you click on each of the trails featured in this set you’ll get driving directions, links to maps, and great tips for making the most of your outdoor adventure in Boulder. 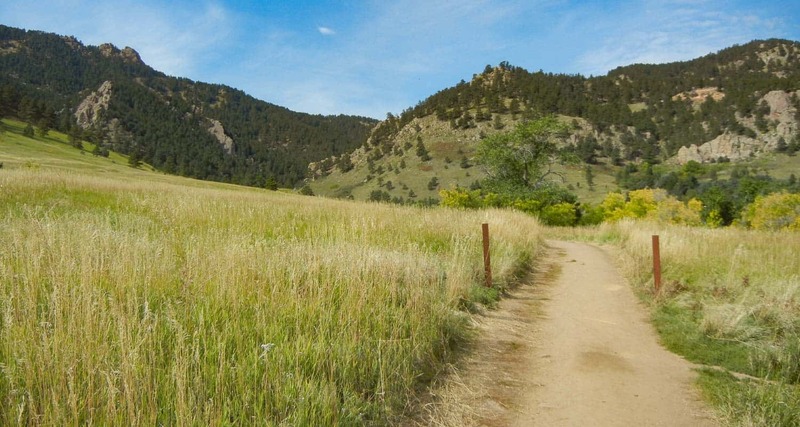 Hiking the Flatirons Trail near Boulder takes hikers across a green meadow, then up through a notch between the First and Second Flatirons. The climax of the Flatirons hike waits at the end: grand views of the Rocky Mountains. 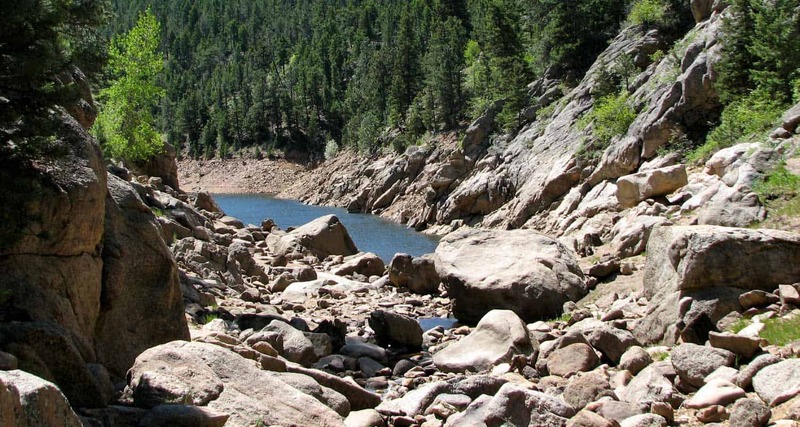 The trail to Eldorado Falls is a 1.25-mile hike from the Ethel Harrold Trailhead down to where South Boulder Creek winds through the park. This cascade waterfall may not be the most dramatic along the Front Range, but it still makes for a great hike. Hikers can explore full Walker Loop Trail to make this into a more challenging adventure. 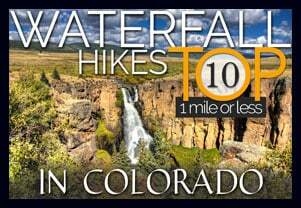 Are you looking for a trail that will shade you from the sun on a hot day in Colorado? This hiking trail has got it all to cool you off: decent shade, a waterfall, a brook, a lake, and a canyon. 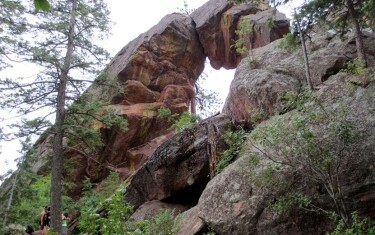 Forsythe Canyon is just outside Boulder and is an easy to moderate hike. 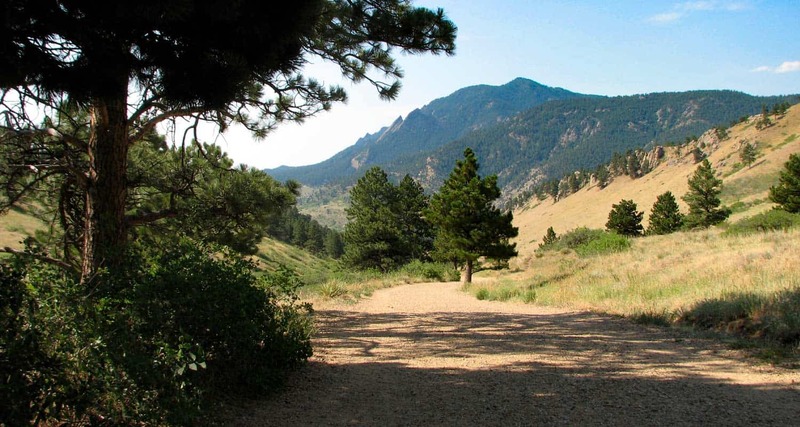 Green Mountain in Boulder, Colorado is a strenuous hike, but worth all the effort. It has spectacular views of the Front Range, Flatirons, and a wide 360-degree panorama at the summit. 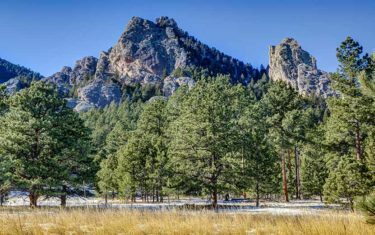 The payoff is at the peak where hikers are rewarded with incredible views of Boulder to the East and the mountains to the West. Mt. Sanitas gives you several trail options ranging from an easy stroll along a meandering brook to a demanding trail up the mountainside. 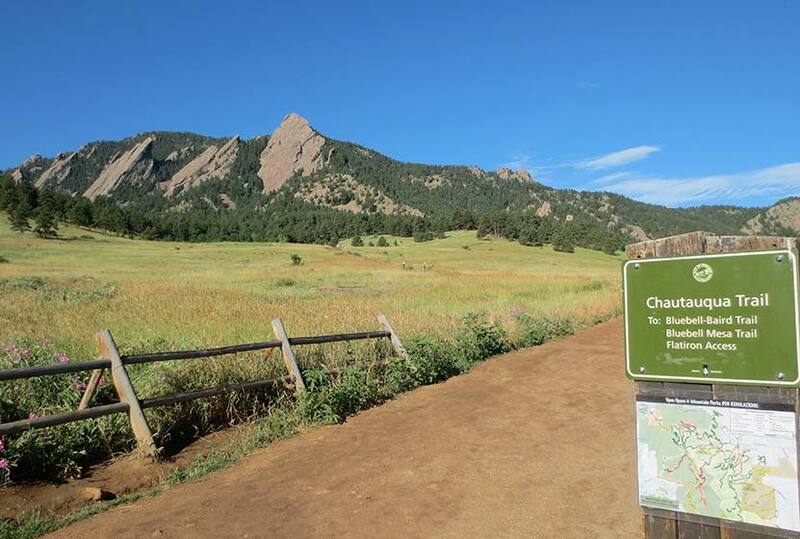 It’s a great social hike, so bring a friend (or man’s best friend) on this hike within the city of Boulder.